my life as a brownie. : identity and integrity. 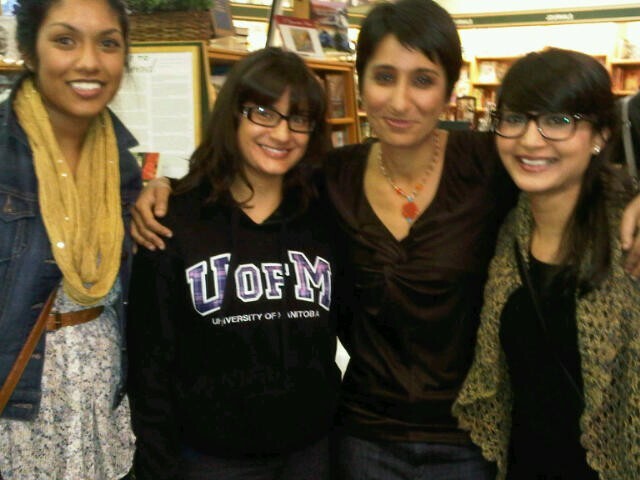 Last night I went to McNally to hear Irshad Manji speak. Let me tell you a bit about who she is through her own website (irshadmanji.com) before I start my discussion. Manji's mission is to "guide people about Muslim reform and moral courage". I have to admit when I heard her speak she sounded powerful. It seemed as if she knew her exact mission in life. But having a Women and Gender Studies background, I have spoken to many women who are just like Manji so I guess it wasn't too much of a surprise to hear someone who is so firm in what they believe in. It was refreshing to hear her speak and to meet her afterwards. She is a very friendly, caring towards others type of person. Now this is where my discussion begins. Two of my good friends who are both practicing Islam joined me. 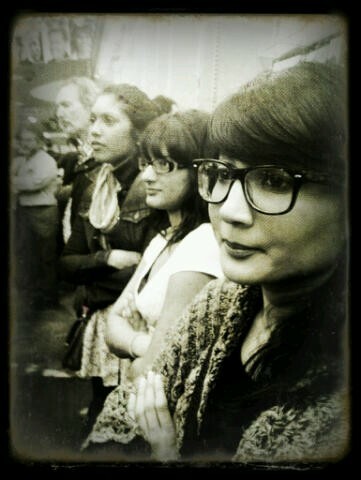 They are very open-minded, educated young women who feel that Islam is interpreted in a negative light. They both feel people should have an open mind towards both sides of being an Islamic woman and practicing Islam. Manji discussed a lot about identity and integrity. She mentioned that "When you allow women to go to the direction of integrity it is deepening their relationship with God." One thing I found out from a good friend of mine was, Islam is a beautiful religion. If it brings out the best in you by being a better person, looking at life openly and respecting others then there shouldn't be so much criticism on the topic. However, from my own experience with religion and studying Islam in university is; extremists ruin the meaning of religion, especially monotheistic ones. Furthermore, people who interpret Islam in a way that degrades others is wrong.With that said I also have met people who practice Islam and use their religion to degrade, oppress women into not believing whatever they say and practice whatever they are practicing. Hence, I am not friends or DO NOT communicate with them anymore. But I will thank them, thank them for what I DO NOT WANT IN MY LIFE. I am not religious but I do respect people who are. People who have such a strong belief for something is incredible. But as for me.. my religion is being as much of a good person as I can. My religion is the value and morals that are embedded in me. Respect yourself, respect others and love. Discussing any monotheistic religion is and will continue to be heated. But all I can say is have an open-mind in life and educate yourself on everything and anything you can. I've read several books by Irshad Manji and find her refreshing, challenging, and right on. Thanks for the post. You're welcome! Thanks for taking the time to read it.